#TeaserTuesday - The Nerve of This Guy! Yep, Ramsey has a lot of nerve, but Gianna's nerves are pretty much shot. You'll see what I mean when you read the first chapter. That's right! 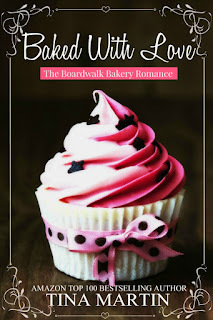 For #TeaserTuesday, I am giving you the ENTIRE first chapter of my newest novel, Baked With Love (The Boardwalk Bakery Romance).